TERA‘s dev team has been waiting a pretty long time to bring the game to consoles, it seems. Apparently they’ve been toying with the idea since 2013 or so. However, there were a few hurdles they had to get past before that could happen — such as the fact that the consoles at the time couldn’t run the game well. In addition, consoles weren’t a big free-to-play space. All that aside, En Masse is finally going ahead with console ports of the game for North America and Europe. With the success of other MMOs on the console market, it seems only logical that a game like TERA, which seems almost designed for consoles in the first place, would make their way over there. 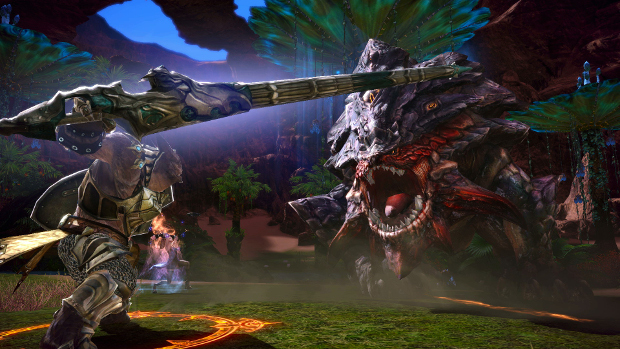 Unfortunately, we don’t know exactly when TERA will hit Xbox One and PlayStation 4. The developers do plan to release the game this year — sometime in the next five months, actually. As with most announcements like this, we’ll just have to wait a while to find out exactly when. Betting we have to pay ten dollars a month via xbox.